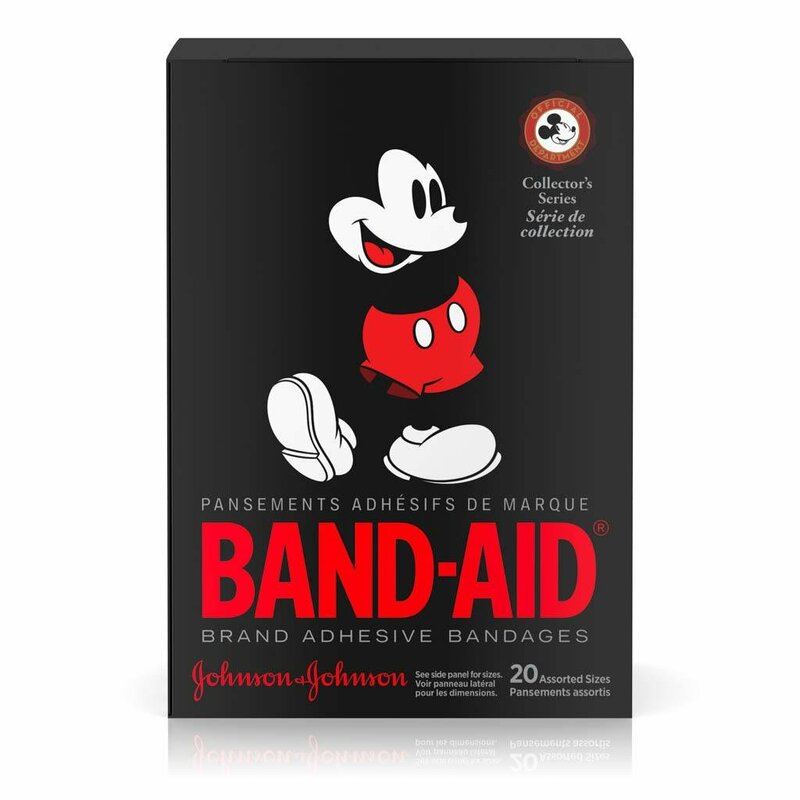 Celebrate your love for Disney Mickey Mouse™ and cover and protect minor wounds at the same time with BAND-AID® Brand Adhesive Bandages Collector's Series featuring Disney Mickey Mouse™. 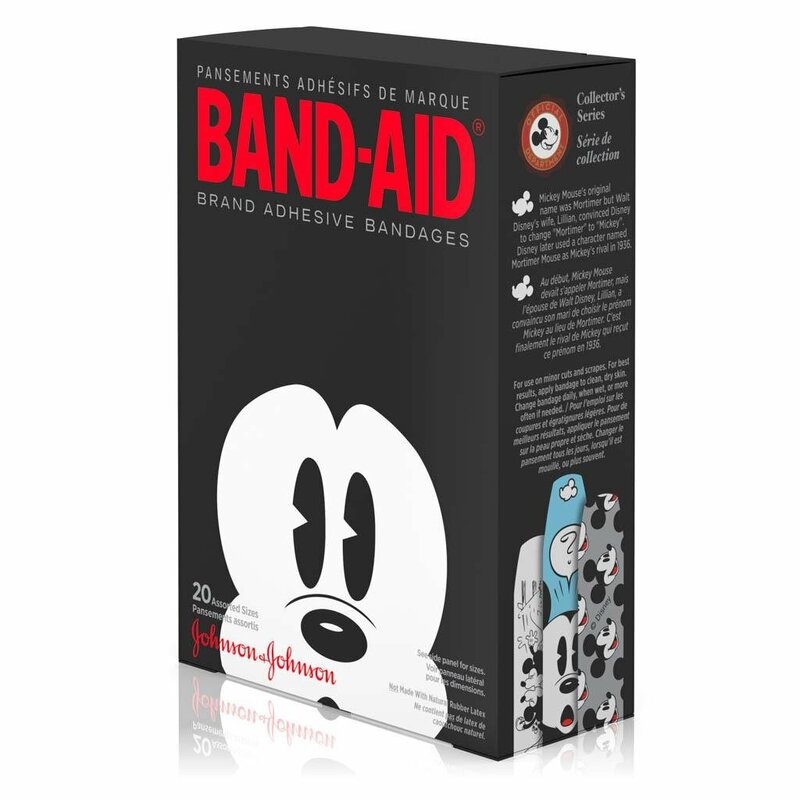 Part of the BAND-AID® Brand Collector's Series of one-of-a-kind designs, these bandages each has an adorable, colorful look that celebrates the iconic Disney character. 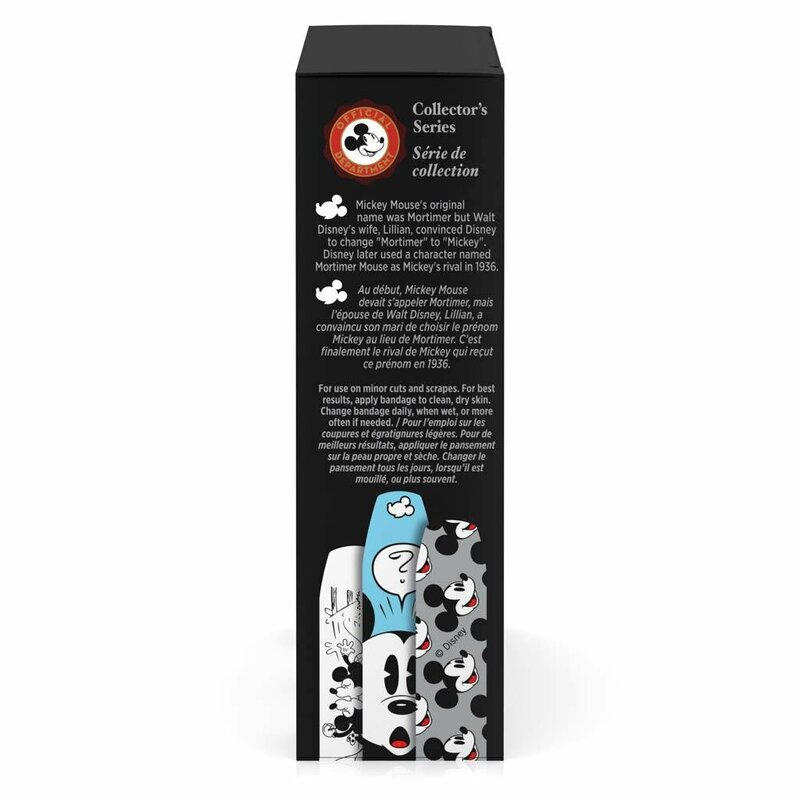 Designed to stay in place so minor cuts and scrapes can heal, these adhesive bandages come in assorted sizes to suit your needs. 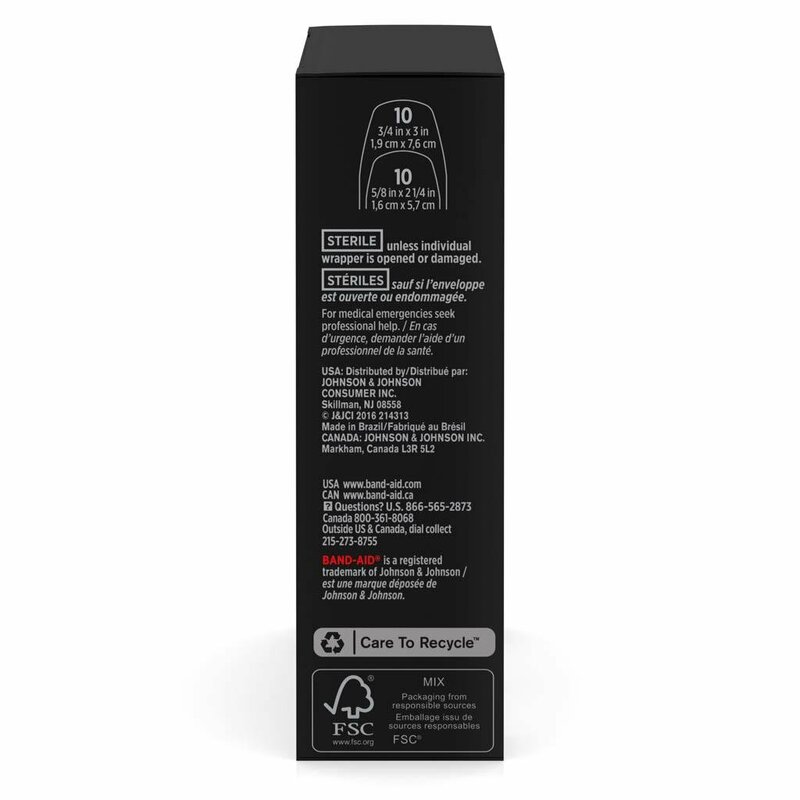 This package contains 20 sterile bandages.